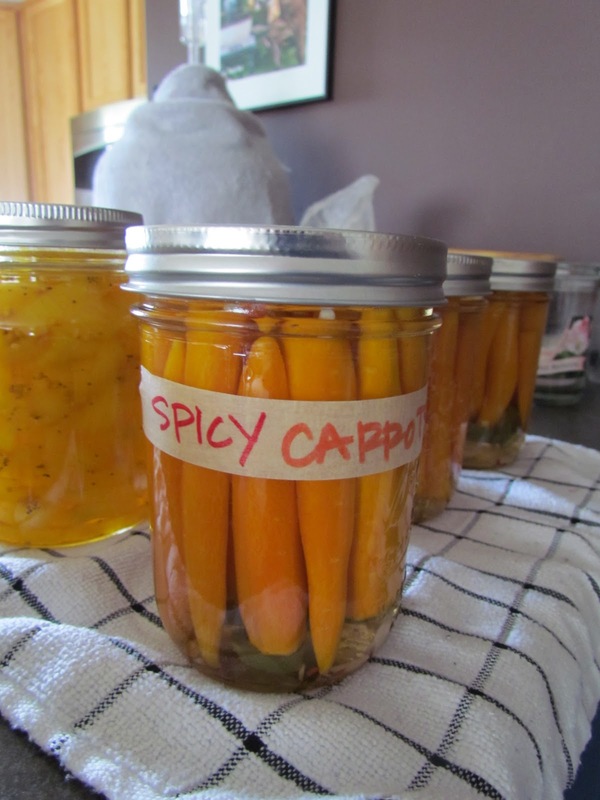 Courageous Canners: Spicy Pickled Carrots - use in place of a classic pickle spear! 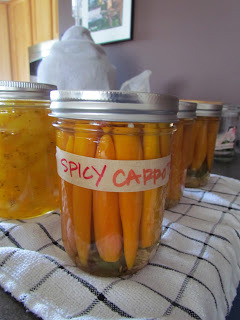 Spicy Pickled Carrots - use in place of a classic pickle spear! Divide the garlic, jalapenos, and pepper flakes among jars. Trim, peel, and cut the carrots 1 inch shorter than the jars. 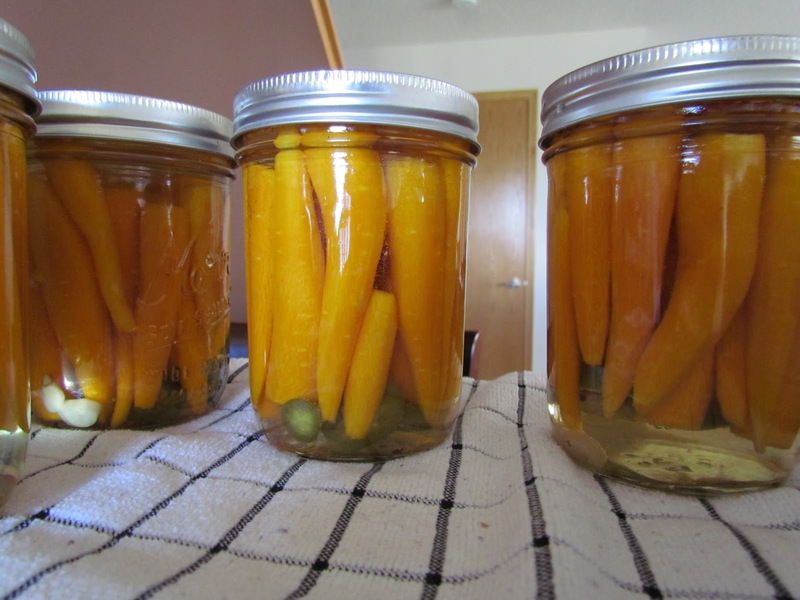 Pack carrots into jars. Bring Vinegar to a boil in a large saucepan. Add sugar and salt, then stir to dissolve. Pour brine over carrots, covering veggies by ½ inch with liquid. Leave ½ inch of head space between liquid and lid. Use water bath method. Wipe rims of clean, center lids on jars and screw on jar bands. Process in bath for 15 minutes. Turn off heat, remove canner lid and let rest in the water for 5 minutes. Remove jars and set a side for 24 hours. Check seals, then store in a cool, dark place for up to a year. Review: I never thought I would can carrots but I got the itch to try something different (hence, "courageous canners"). This recipe was a super easy & quick one. I have yet to crack them open.... More to come once I do... However I don't see how they couldn't possibly be delicious! These are going to make a great addition to this holiday's relish platter!